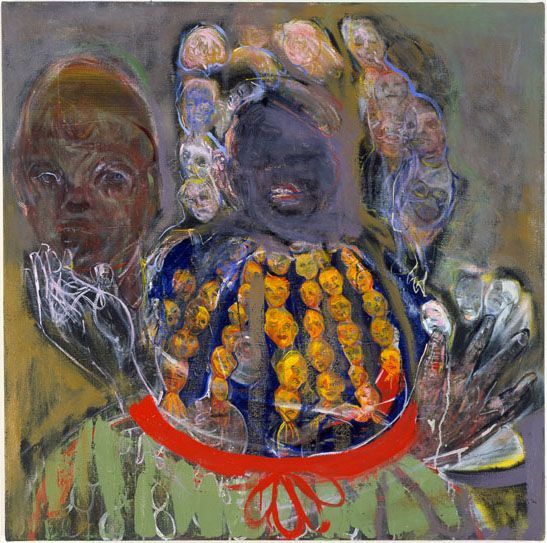 On Thursday, April 20, 2006, Betty Cuningham Gallery will open an exhibition of the recent paintings and sculpture of Judy Glantzman. 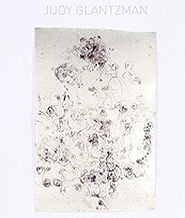 Glantzman is a native New Yorker and a 1978 graduate of Rhode Island School of Design. 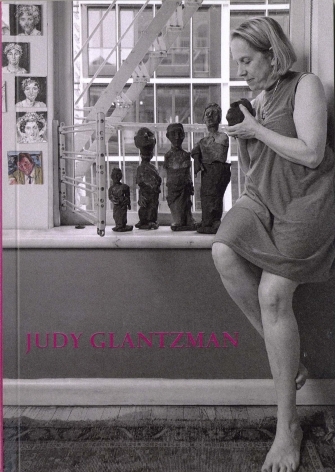 Shown in New York since 1983, Glantzman is distinguished particularly by her early shows in the East Village with Gracie Mansion and subsequently at BlumHelman and Hirschl & Adler Modern. 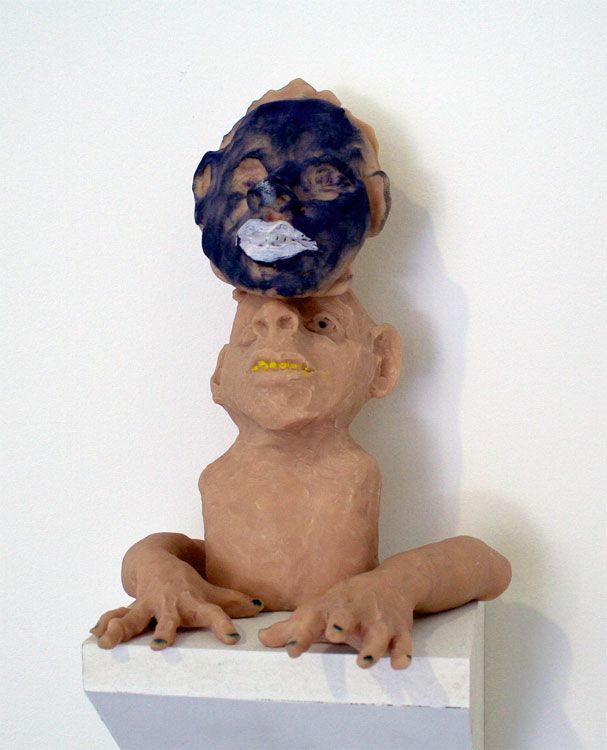 Glantzman’s interest in psychology, physiognomy, and the multiplicity of personality is further revealed in the small sculptures on show in the gallery. 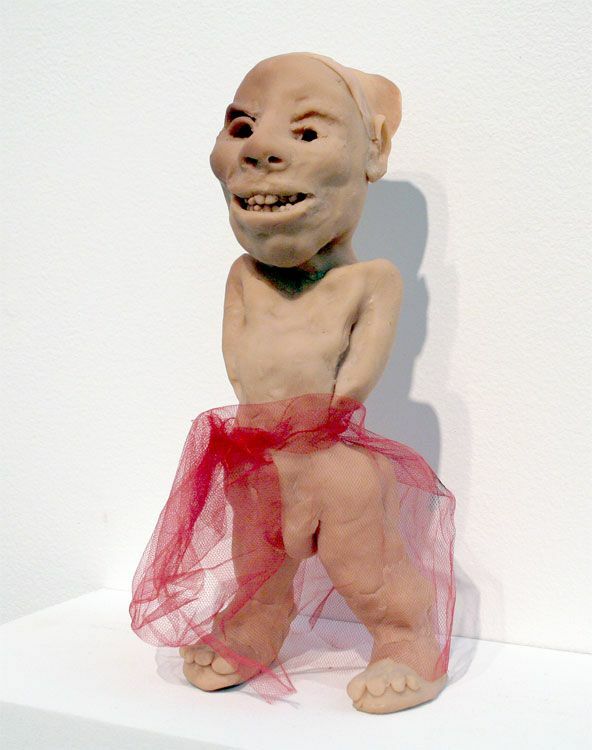 Made of the polymer based child’s play clay, Super Sculpey, these figures, which are exercises in movement and emotion, laugh, smile, cry, and frown; some have multiple heads and amputated limbs. 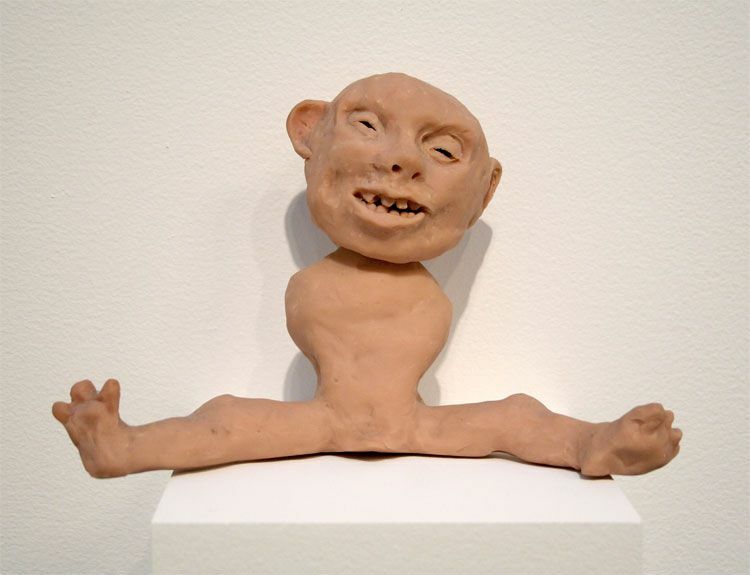 The sculptures, like the paintings, reveal every emotion. 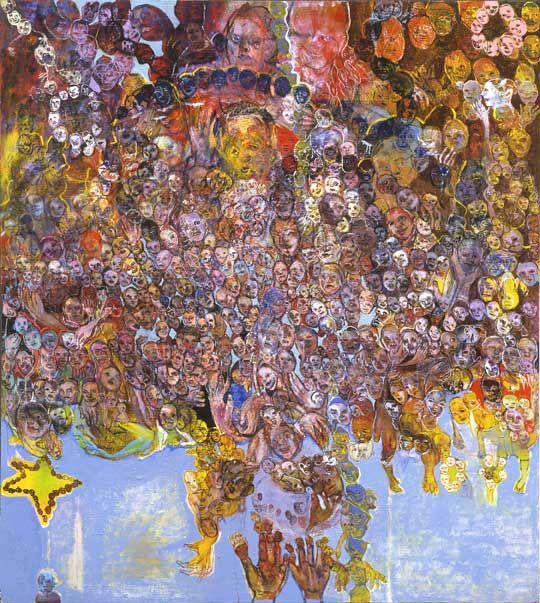 In addition to numerous solo shows, Glantzman’s paintings have been included in several group exhibitions. 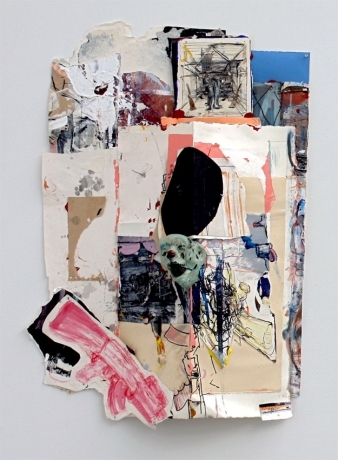 Most recently these exhibitions include East Village USA at the New Museum of Contemporary Art, New York, 2004, and Site and Insight at P.S.1, Long Island City, 2003. 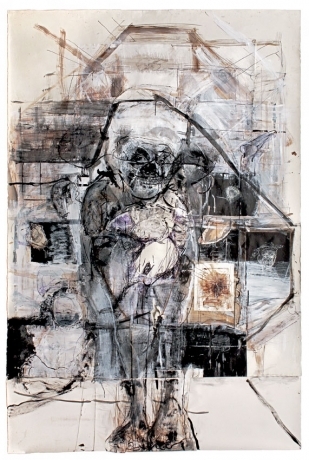 She has received several awards, among which are: the Silver Medal from the Royal Society of the Arts, London, United Kingdom, awarded to outstanding graduate of the Rhode Island School of Design, 1978; the Pollock Krasner Foundation Grant, New York, 1992; the Anonymous Was A Woman Foundation Grant,1997, and the John Simon Guggenheim Memorial Fellowship, 2001. I love it when established artists start something new. 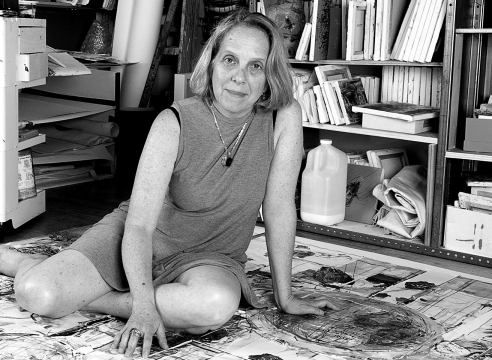 After seeing Pablo Picasso's Guernica for the first time three years ago, Judy Glantzman began moving away from the introspective self-portraits she had been making for many years toward a less self-engaged exploration of the devastation caused by war. 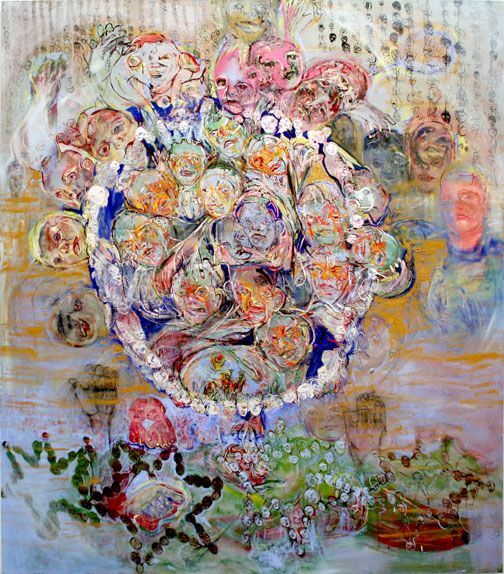 Determined that she was done with psychological self examination, Glantzman set out to develop a new, more outward-looking visual language. 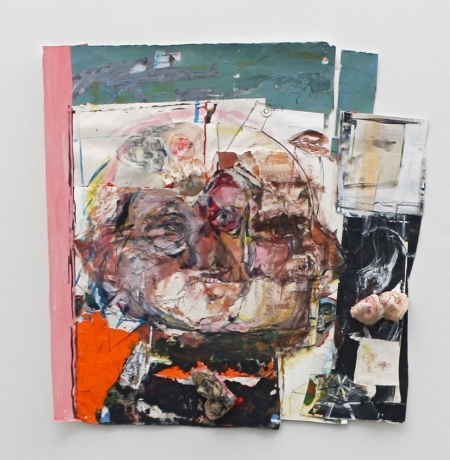 Here are images of a sprawling, roughly hung exhibition at Betty Cuningham in which Glantzman presents powerful work from her ongoing series.